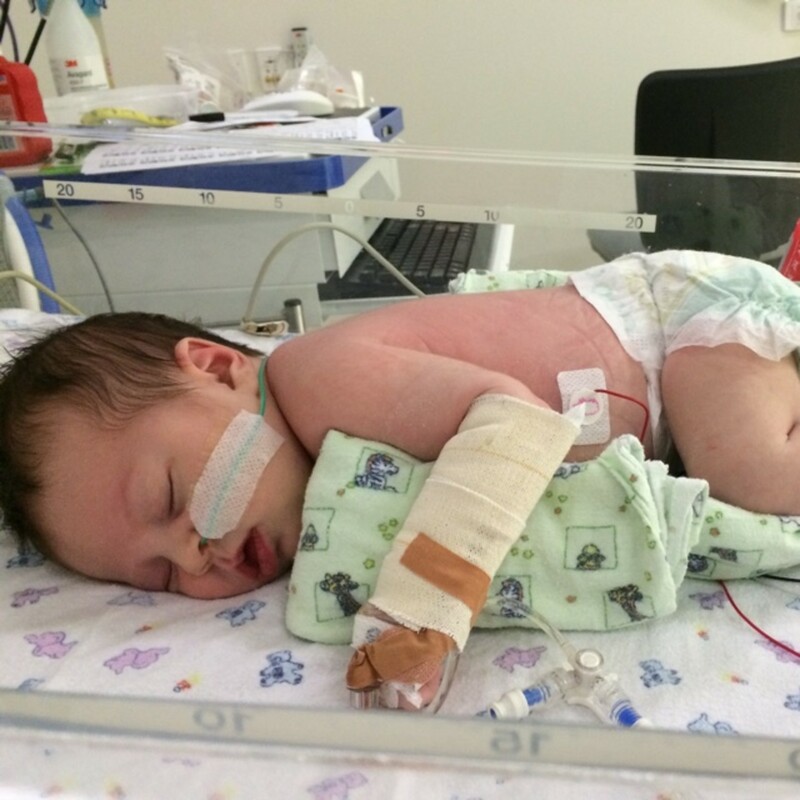 As a tiny newborn baby, Stella fought for her life. When Janelle gave birth to her daughter, Stella, she and her husband Nick couldn’t have been happier. They felt so lucky. They had a healthy son and now a beautiful baby girl — their family was complete. Stella was a beautiful, happy, healthy baby. But fast forward just over a week and they realised something was not quite right. In just a matter of minutes, 12-day-old Stella’s temperature spiked to a dangerously high level. “I started to get a bad feeling,” Janelle told us. But a trip to the doctor is all they thought they would need. Upon their arrival, the doctor detected a racing heart rate and sent them straight to the Lady Cilento Children’s Hospital for further testing. Janelle and Nick watched on as the doctors performed test after test on baby Stella. They were in shock. What was happening to their baby girl? Stella’s health continued to decline but worryingly all test results came back negative. Frustrated and confused, Stella’s parents felt helpless. Soon Stella was transferred to the Paediatric Intensive Care Unit where the sickest children in our hospital are cared for. For three long days Stella showed no sign of improvement and she had stopped feeding so had a nasal gastric tube inserted and low flow oxygen to assist her breathing. It was then that doctors noticed a faint rash and immediately ordered a test for parechovirus. The test came back the next day, it was positive. Stella had parechovirus. There is currently no cure for parechovirus. All the doctors could do was support Stella’s breathing and other vital functions and hope her immune system would start fighting back. Parechovirus can lead to serious complications such as hepatitis or encephalitis, and worst of all, it can be fatal in very young babies. “We’d never heard of parechovirus,” Janelle remembers. The virus is spread from person to person by direct contact and there is currently no treatment or vaccine. With funding from the Children’s Hospital Foundation, Professor Theo Sloots developed a groundbreaking test to identify the virus in patients within just a day to allow for diagnosis and the necessary monitoring. A test that has helped save many lives, just like Stella. Professor Sloots is now working to develop a vaccine to cover the six strains of the virus. Thanks to the doctors and nurses at the Lady Cilento Children’s Hospital, Stella’s condition was diagnosed at the right time and she was able to receive the necessary care and monitoring she needed to keep her alive. At just 12-days old, her little body could barely take any sort of treatment and had very low immunity. It really is a miracle that today, Stella is a healthy fourteen month old. She will continue to have neurological and hearing check ups. Another outbreak of parechovirus is expected to hit in the next two years. 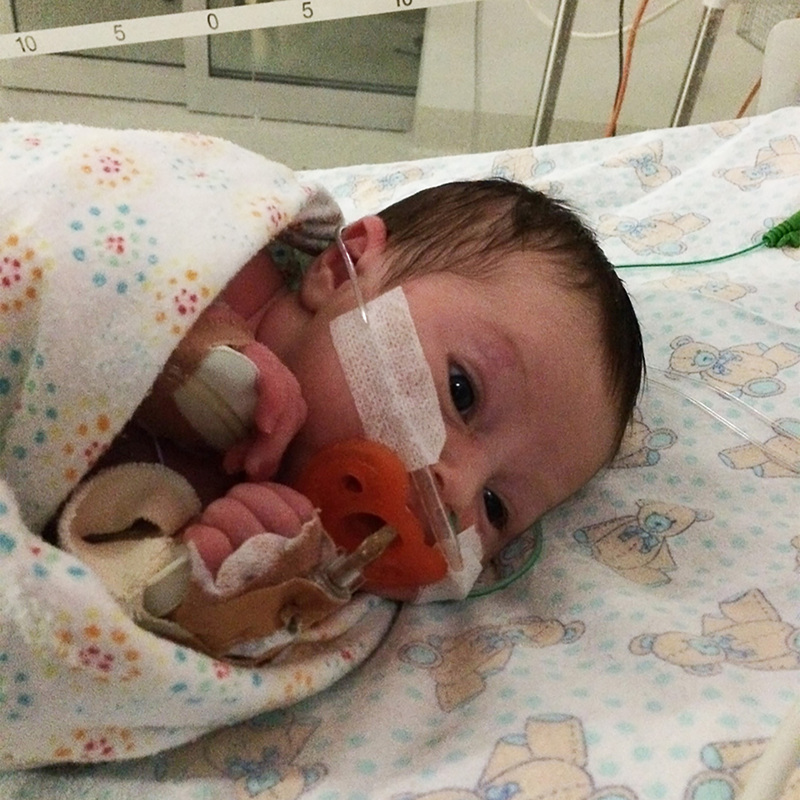 Help fund the next phase of research into life-threatening infectious diseases, so we can give more babies like Stella the best chance in life.